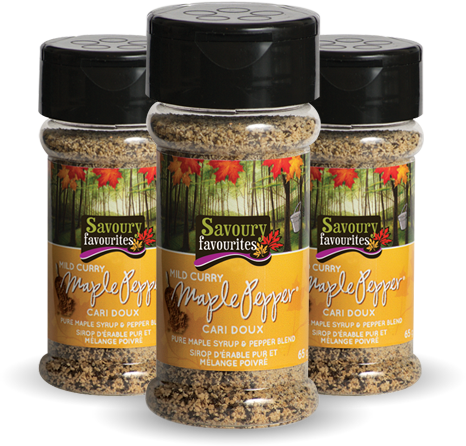 Savoury Favourites’ Maple Pepper® Spice Blends are a collection of unique and delectable gluten-free seasonings made right here in Canada using only the very finest ingredients. 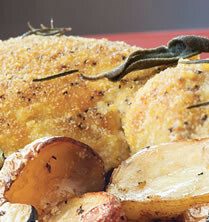 Just a sprinkle or two will take your tried-and-true recipes, and new ones as well, to a whole new level of deliciousness. 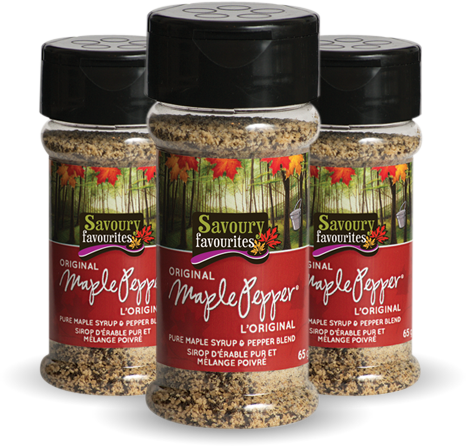 Savoury blend of maple sugar with pure black pepper and just a hint of sea salt. 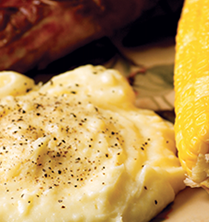 Experience the slight hint of curry flavour we added to our Maple Pepper® Original. 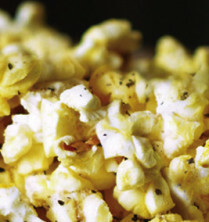 Add a spicy and smoky kick: a little sweet, a little salt, and a little heat. Sumptuous marriage of a most famous Italian flavour with maple sugar. For more inspiration, be sure to browse through our growing collection of recipes submitted by Maple Pepper fans around the world, who have already discovered the magic of Savoury Favourites’ Maple Pepper® spice blends. 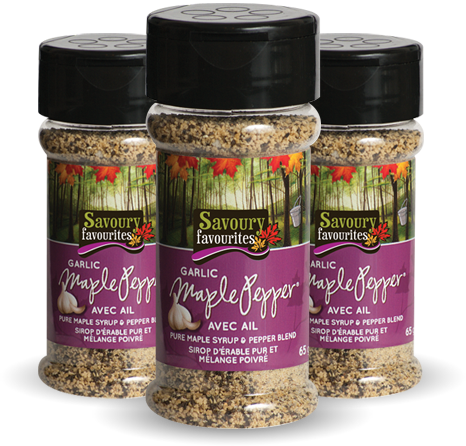 Fire up your grill and thrill your palate with the wonderful flavours of salmon and Maple Pepper® Original Spice Blend. 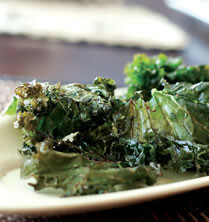 Super healthy has never tasted so delicious.